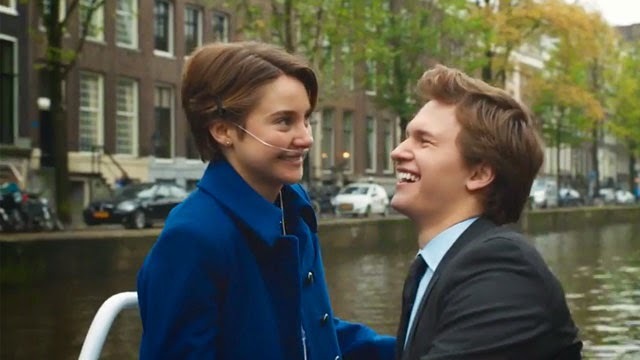 Shailene Woodley and Ansel Elgort are a perfect match in "The Fault in Our Stars." In “The Fault in Our Stars,” Shailene Woodley delivers a perfect performance as the protagonist, Hazel Grace Lancaster. But the antagonist is cancer, and Hazel is dying. She has a form of lung cancer and carries an oxygen tank in a little roller backpack. She is 17. Witty, intelligent, a reader. The cancer has made her wise beyond her years. Woodley plays this to perfection. She has this gaze and half-smile that exudes worldliness as if she’s seen it all before. It’s the same sort of power she brought to her performance in last year’s “The Spectacular Now,” my favorite movie of 2013. 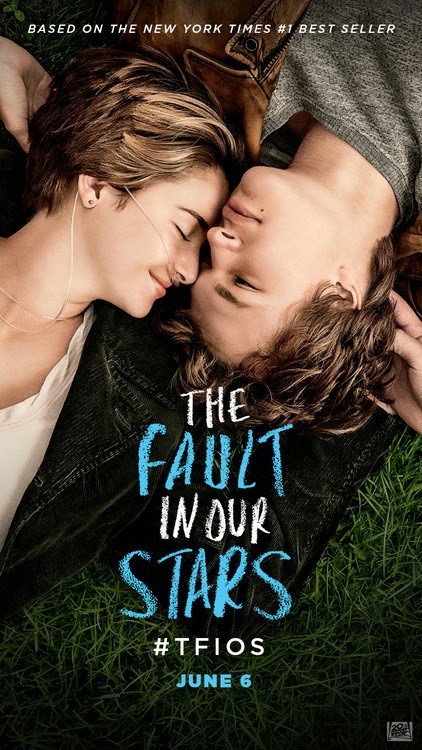 Augustus (Ansel Elgort) is 18, in remission from his cancer but at the cost of one of his legs, yet totally unshaken. He is charming, good-looking, smart, and when he sees Hazel at support group for the first time, it is love at first sight, despite the oxygen tube across her face. Hazel is instantly attracted but reserved about getting into a relationship with the knowledge that, well, she’s dying and all. As their love story plays out, they will grow closer, find themselves on a Make-A-Wish trip to Amsterdam, gaze at the stars and even drink them from a glass. But when it all comes down, I expected to be shaken a bit more. At one point, Hazel and Gus talk about being remembered. Is it better to be loved widely by all or deeply by few? That’s how I feel about this movie. In the end, I wanted it to hit me harder with the deep emotions it so expertly builds in the beginning. Instead, it softly widens at the end and loses its punch. Don’t let my one little criticism deter you. “The Fault in Our Stars” is perfect for its teenage audience and will likewise touch adults of all ages. It is beautifully written and directed and powered by the chemistry between two talented young actors. Note: This is a review for The Courier News, Clinton, TN.